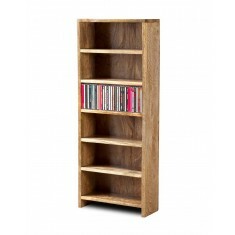 Availability: Temporarily out of stock In Stock and usually delivered within 10 days. 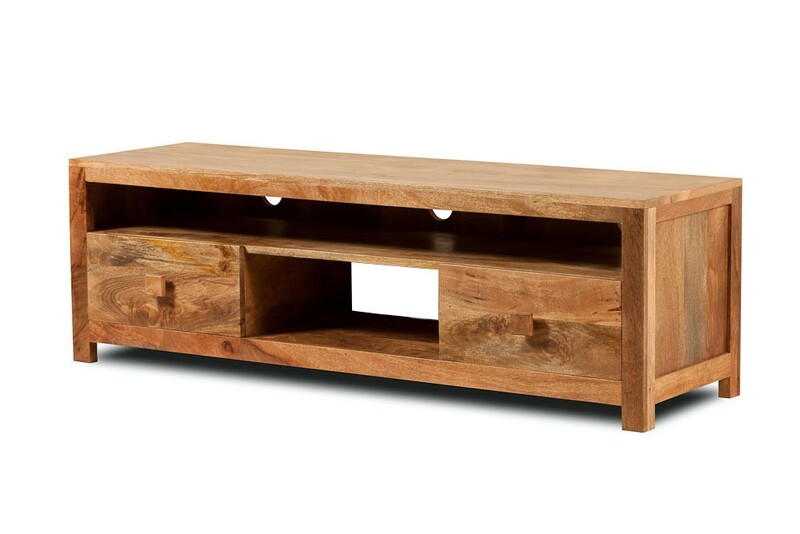 A beautiful large solid mango media unit, suitable for flatscreen TVs up to 60" in size with enough space for 4 media components. 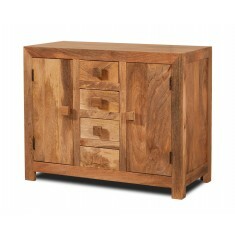 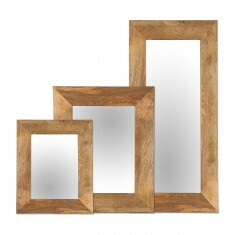 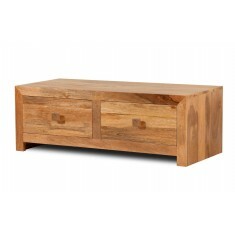 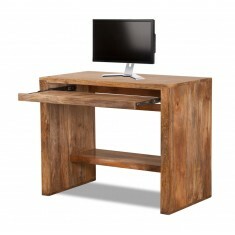 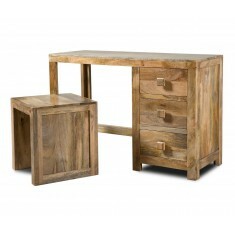 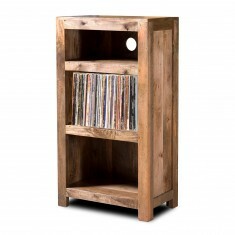 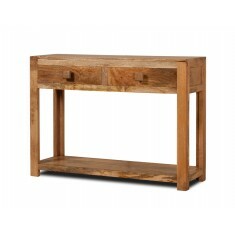 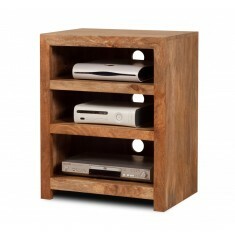 Made entirely from 100% solid mango wood, hand finished in a satin lacquer. 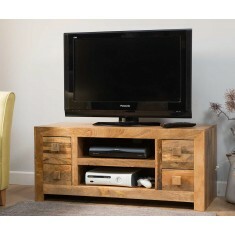 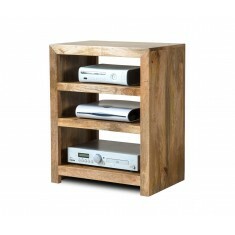 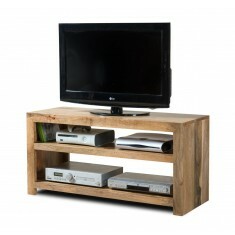 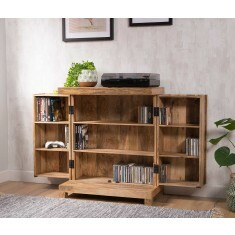 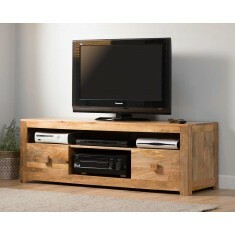 The lower shelf is suitable for large A/V amplifiers and has an open back to aid cooling and cabling. 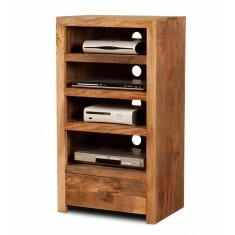 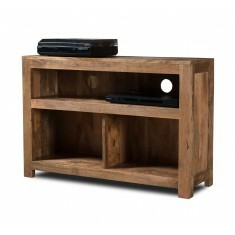 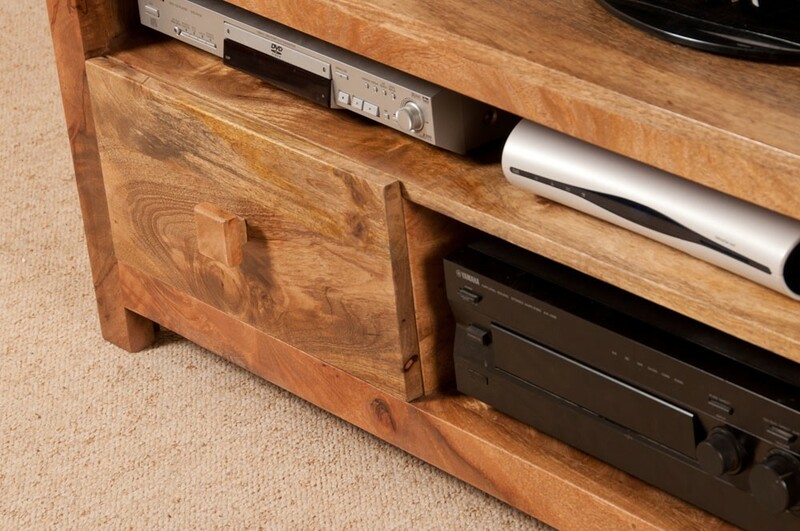 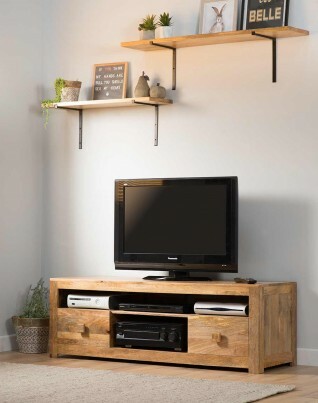 The wide, upper shelf is perfect for your extra components or a soundbar, and has 3 cable holes to keep things tidy. 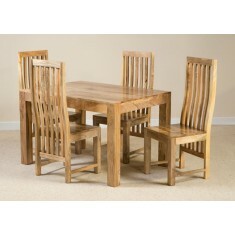 Delivered fully assembled to your door, with all packaging removed and taken away by the drivers. 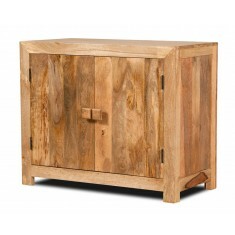 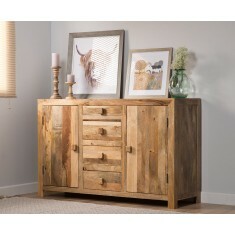 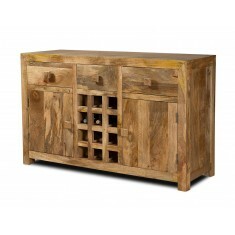 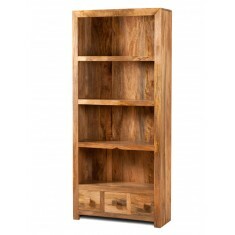 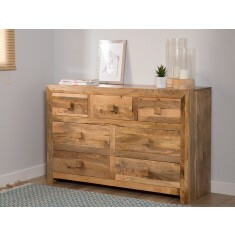 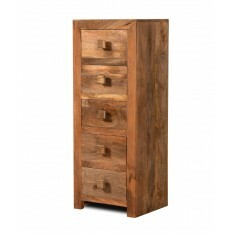 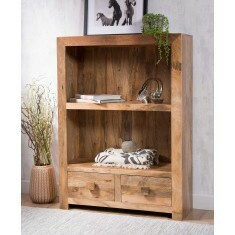 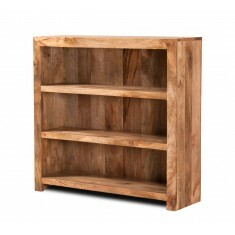 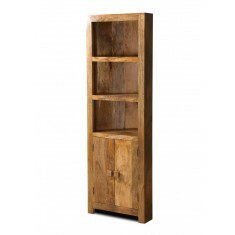 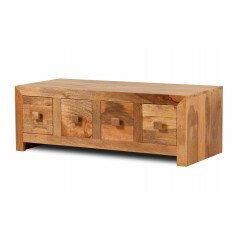 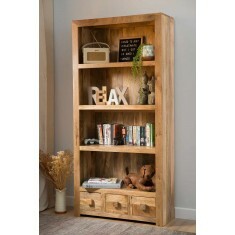 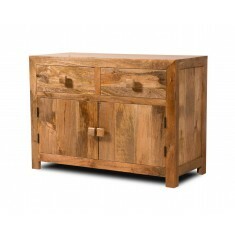 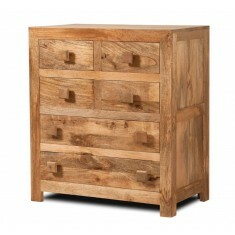 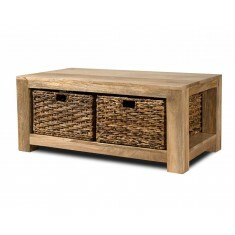 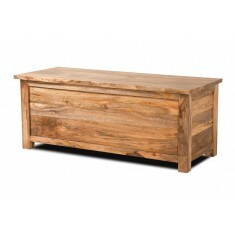 Please note grain patterns and wood shades can vary considerably on natural mango furniture items - every item is unique and these natural characteristics are to be expected, and add to the individuality and character of each piece. 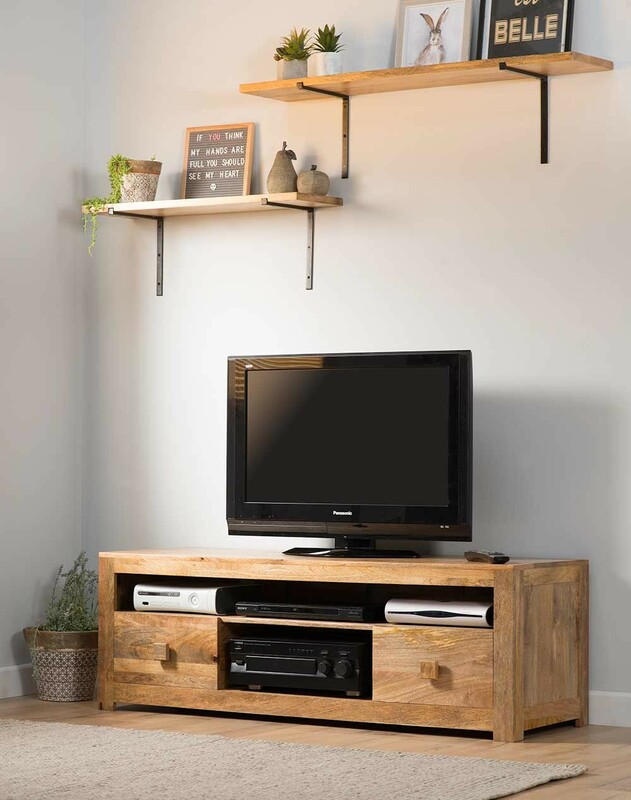 Please view other items in the Dakota Light range to see examples of the varying appearance of markings and colours possible on these products. 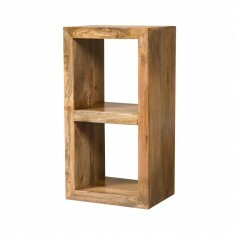 Also available in honey and dark finishes. 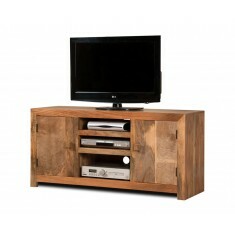 100% solid mango wood with a smooth, matte lacquer. 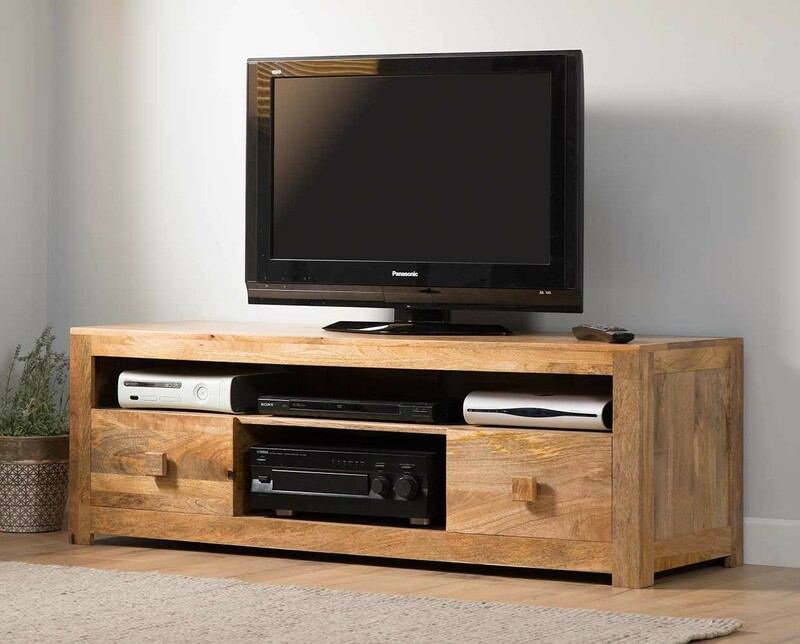 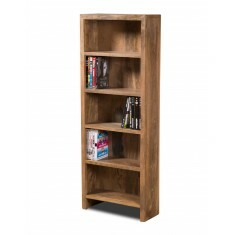 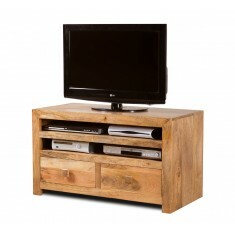 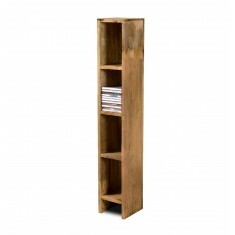 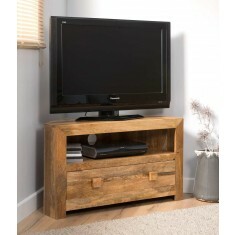 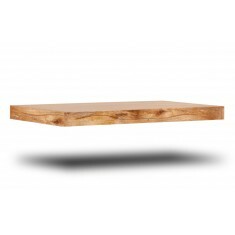 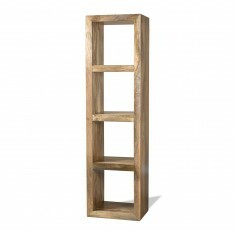 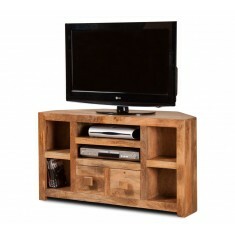 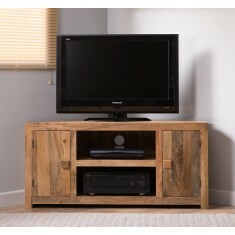 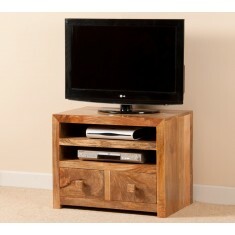 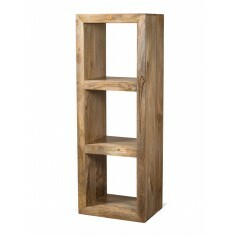 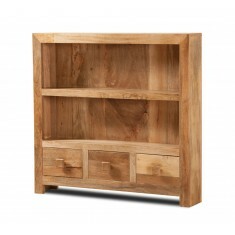 No MDF or plywoods are used anywhere, and most items are delivered fully assembled. 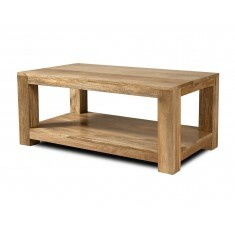 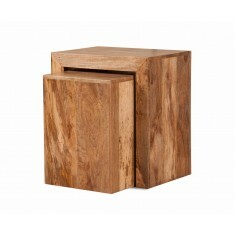 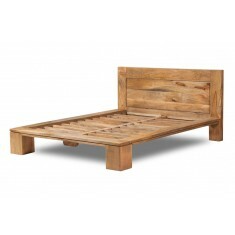 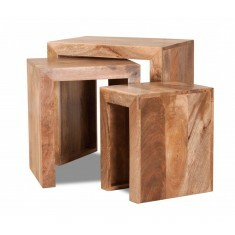 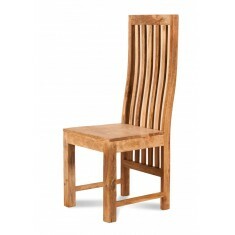 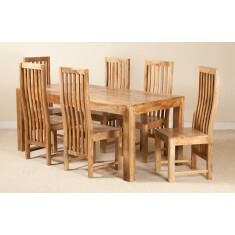 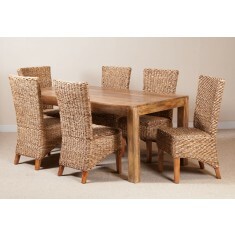 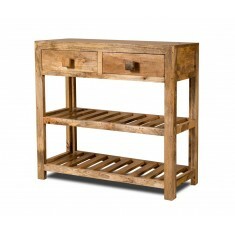 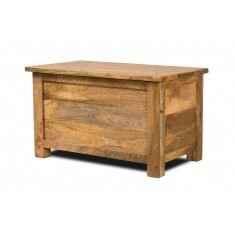 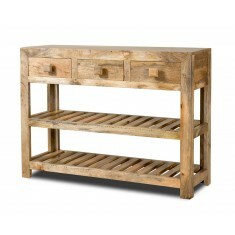 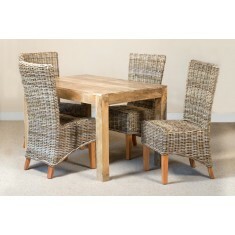 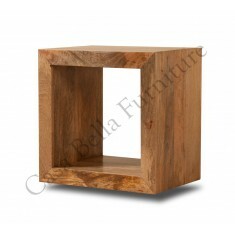 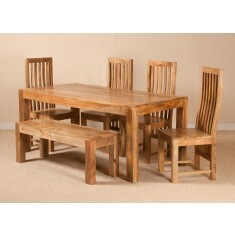 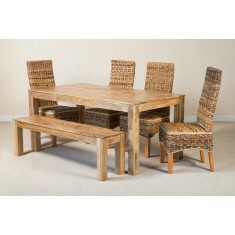 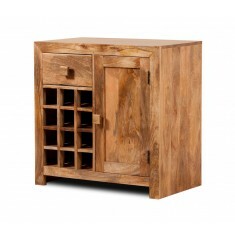 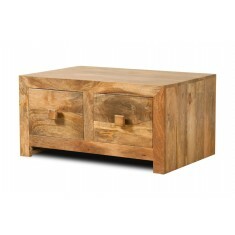 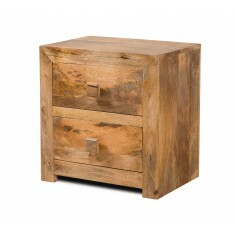 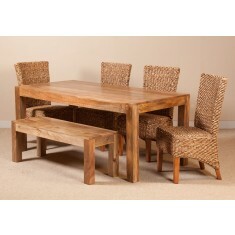 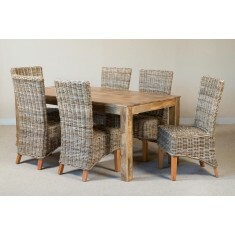 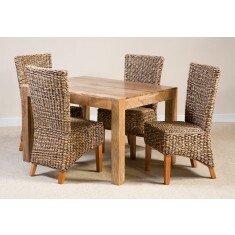 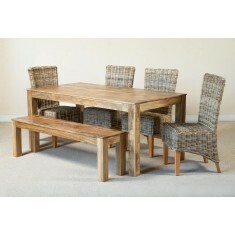 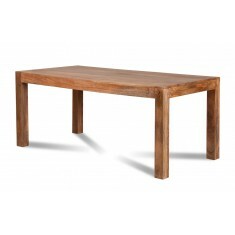 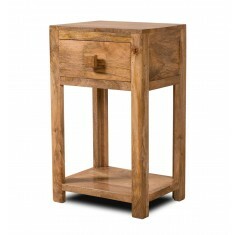 Our solid mango furniture a natural product, so always used coasters and avoid strong sources of heat.